Greetings to all of my music video kindred spirits! 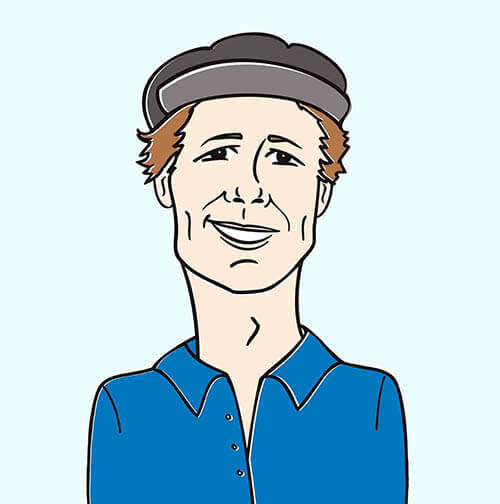 Its Andy Gesner and the staff from HIP Video Promo, here to share another dynamite video from a great independent band with you. Austin-based Okkervil River has been touring the nation with the Decemberists, and we cannot think of a more appropriate pairing, or two bands that complement each other better. Like Colin Meloy’s celebrated outfit, Okkervil River is a highly literate, near-novelistic, super-tuneful songwriting unit effortlessly spinning out indelible melodies and inventive chord progressions. Both groups craft albums that are conceptually developed, intellectually courageous, but invariably exciting and accessible. Moreover, both are fronted by singers with remarkably expressive voices and no reservations whatsoever about shooting the works! Despite their evident brains, this is emotional music, sung by passionate, brilliant writers capable of expression joy and grief albeit in vocabularies unusual for rock and roll. The singer and writer of Okkervil River is the tall, photogenic Will Robinson Sheff, a New Hampshire native with a backpack full of affecting stories and a knack for subtle poetry and ingenious songcraft. Audiences have begun to notice: Down The River Of Golden Dreams was named one of the top ten records of 2003 byMagnet magazine. Comparisons to Neutral Milk Hotel and Palace Music have been complemented by others to American short-story writers. (All are appropriate.) And while most rockers are thrilled to get a review in Pitchfork or Popmatters, Okkervil River can add a recent two-page profile in the Sunday New York Times to their already-overflowing press kit. Times reporter Kelefa Sanneh praised the group for their poise, their sophistication, and their literary imagination, and reviewed them with the sort of incisive critical acumen usually reserved for Martin Amis or Tom Wolfe. Unwarranted? Not at all. Okkervil Rivers work demands that sort of serious attention. Black Sheep Boy, the latest full-length, fulfills the promise of Down The River Of Golden Dreams and adds new dimensions and a new nervous urgency to the Okkervil River sound. A dark, numinous journey through Sheff’s songbook, the set takes as its conceptual center a surreal, intriguing track cut by Tim Hardin in the late Sixties. (The album opens with a brief cover.) “For Real”, the first variation on the theme, is at once the most immediate and the most savage song they’ve ever done. Vicious stabs of acoustic guitar shatter the serenity of Sheff’s breathy vocal, and the full band slams away at a chorus that is, by folk-rock standards, pretty damned rocking. By the end of the piece, Sheff is wailing like a beast unchained, wringing every ounce of outrage and pain out of his potent voice. Zak Margolis’s beautiful animated clip for “For Real” matches the emotional intensity of the song. He paints in somber browns and gloomy grays, and populates his dark universe with Gorey-esque innocents who look overwhelmed by their surroundings. Even when the clouds part and were given a glimpse of the blue sky, there’s always the sense of impending trouble. 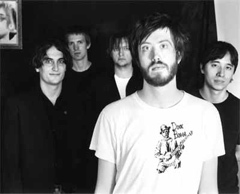 This is not unusual for Okkervil Rivers videos in the impossibly sad clip for “It Ends With A Fall” from Down The River Of Golden Dreams, the band is shown sinking on a two-dimensional wooden stage ship, their waving hands lingering above the artificial sea. Here, even the cartoon version of the group looks haunted. Margolis’s hand-drawn woods are certainly eerie. But when were shown the monster, he seems shadowed, troubled, oddly sympathetic. He swallows a young girl whole, and we follow her animated trip through his interior dotted with the detritus of modern culture. She cuts into his heart, and carves her way out of his body. Even this isn’t an escape, though: the demon chases her (and her friends) out of the forest and into the sunshine. In Okkervil Rivers restless world, we all exit pursued by furies. Here at HIP Video we are fully stocked with copies of Okkervil River’s Black Sheep Boy CDs. Okkervil River will be touring the Southeast with Rilo Kiley in June and we will do our best to hook you up. They will also be available to do video interviews and video IDs while they are out on the road. If you need more info call Andy Gesner at 732-613-1779, or emailHIPVideo@aol.com. You can also visit www.Jagjaguwar.com, or www.OkkervilRiver.com to find out more about Okkervil River.